Architecture in Helsinki - There was a time you could have snuck a talented group of quirky pop multi-instrumentalists under my nose and I wouldn't have batted an eyelash. Then I had a chance to see this act for myself a few times. Touring the North America in June in support of their new album, Moment Bend, this modernist act from Melbourne could be one of the best live tickets of 2011. And while we haven't heard much of the new album yet, what we do know (watch the video) is engaging, light and entertaining. One of the most incredible, unpredictable shows I have ever seen is coming to North America and that's cause for celebration. DOM - There was a time I would not have dreamed of this pairing. AIH's sound has evolved to such an extent that Dom really is the perfect marriage for the Boston show. Just a year ago I was honored to introduce them onstage at the Boston Music Awards - and they would walk away winners, only after entertaining the masses. The five-piece band hailing from Worcester, MA and were originally intended to be an 'electronic sci-trance' project, the band was formed in January 2010 by Dom and drummer Bobby after writing the song, 'Jesus'. 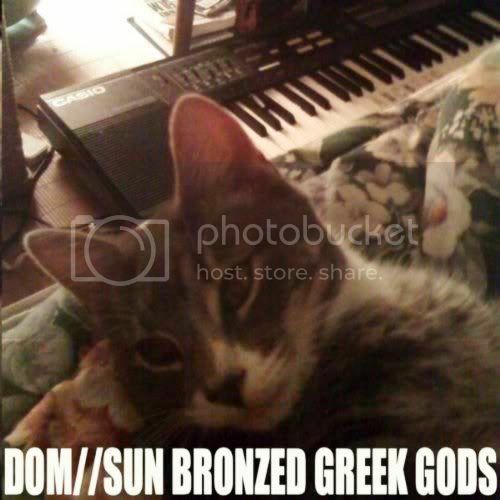 They added bassist Erik, and recorded their first 7 song EP, Sun Bronzed Greek Gods by March 2010 in Erik’s bedroom using a pink paisley guitar and a Casio keyboard and a bunch of loops. The EP was later picked up by EMI/Astralwerks, Parlophone and Modular People and rereleased in February 2011. The group released another 5 song EP, Family Of Love earlier this year.